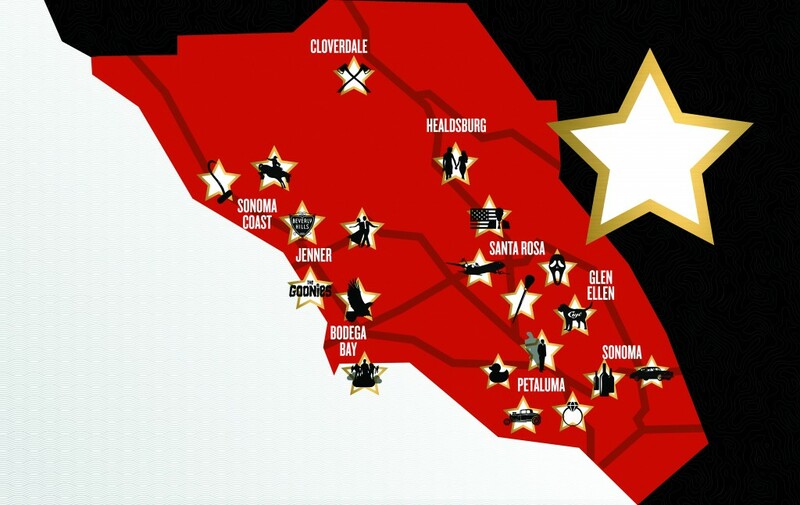 Map of movie locations in Sonoma County. Wine Country’s quaint hamlets and seaside towns have attracted Hollywood hot shots including Alfred Hitchcock, George Lucas and Francis Ford Coppola. 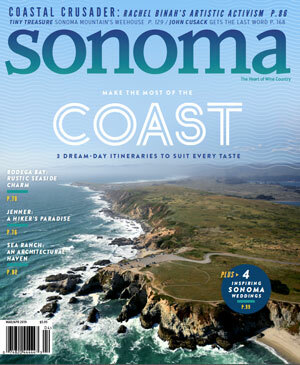 Visitors to Sonoma might think they’ve seen it all before, and they probably have: in films featuring its quaint towns, dramatic coastline, ancient redwood stands, rolling hills and valleys. 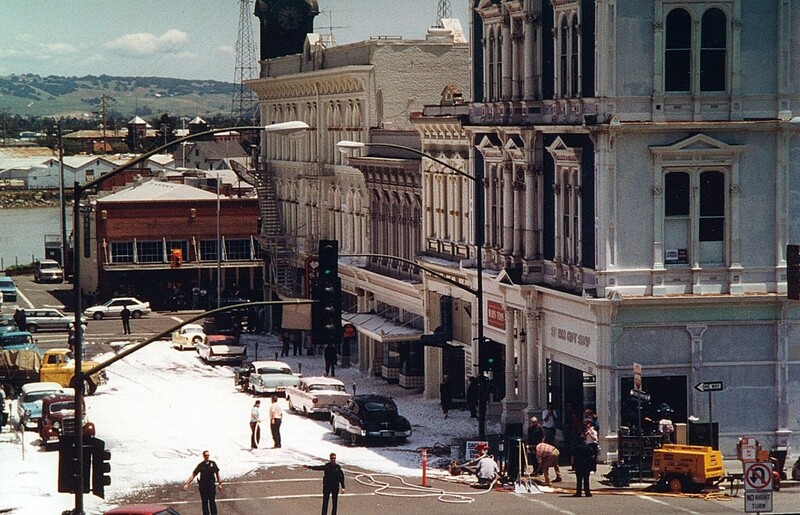 Hitchcock, Lucas and Coppola were so seduced by Sonoma’s small-town America charm that they filmed entire movies here, in effect advertising the region to the world. For more than 100 years, the local landscape has starred in dozens of movies and television commercials, providing the background eye candy for everything from classic coming-of-age movies to breezy car commercials to President Ronald’s Reagan’s famous “Morning in America” TV re-election campaign spot, filmed largely in Petaluma, in 1984. It’s not unusual to see a film crew somewhere around Sonoma. In 2014, the county issued 85 permits for 105 days of filming, including a multiday courtroom shoot at city hall in Petaluma for “The Wrong Side of Right,” a feature about an animal rights activist who goes undercover at a dog-breeding facility. More recently, the county starred in “For What It’s Worth,” with James Franco and Sharon Stone. Scenes from the upcoming picture were shot in Geyserville, Sebastopol, Guerneville and Monte Rio, causing a buzz in those small communities — literally. Soon after arriving in the area, Franco took a walk through Armstrong Redwoods State Natural Reserve near Guerneville. The most popular filming locale in Sonoma, however, is Petaluma, and it’s easy to see why. 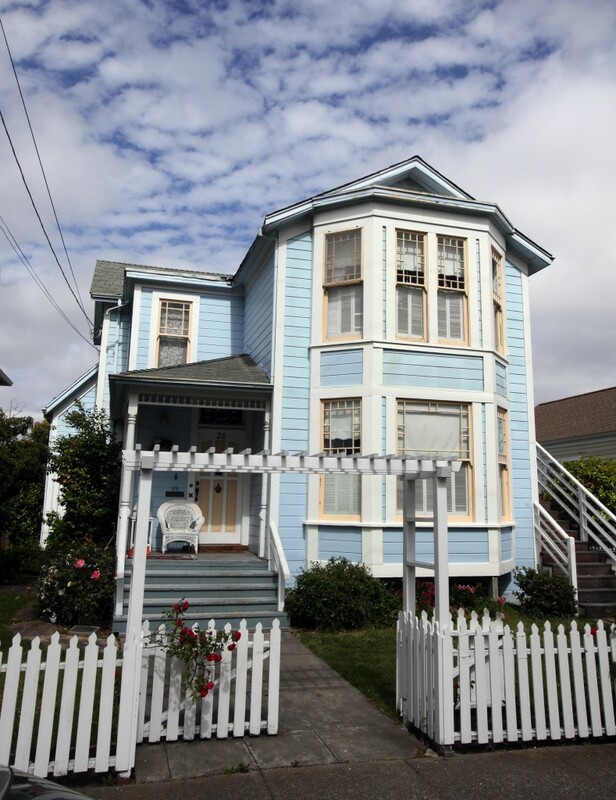 It has a beautiful and well-preserved city center that’s on the National Register of Historic Places, and was one of the few local communities left standing after the devastating 1906 earthquake. 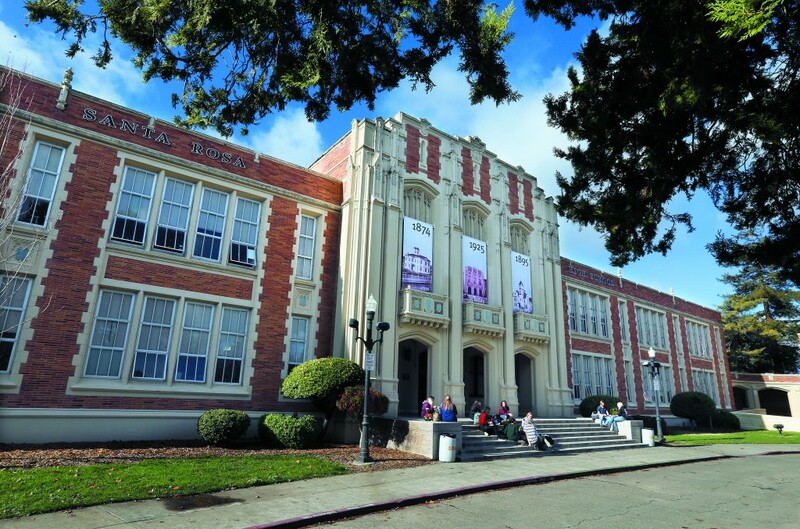 Petaluma was featured in a range of movies, from the Oscar-winning 1947 film “The Farmer’s Daughter” to Cary Grant’s 1948 “Mr. Blandings Builds His Dream House” (where it played the role of rural Connecticut) to “Cujo,” about a killer dog. It also featured prominently in Francis Ford Coppola’s “Peggy Sue Got Married” and Paul Verhoeven’s “Basic Instinct,” the latter of which starred Sharon Stone and her legs. Filmmakers particularly love the downtown area around Western Avenue and Petaluma Boulevard, with McNear’s Mystic Theatre and Saloon as a popular backdrop. 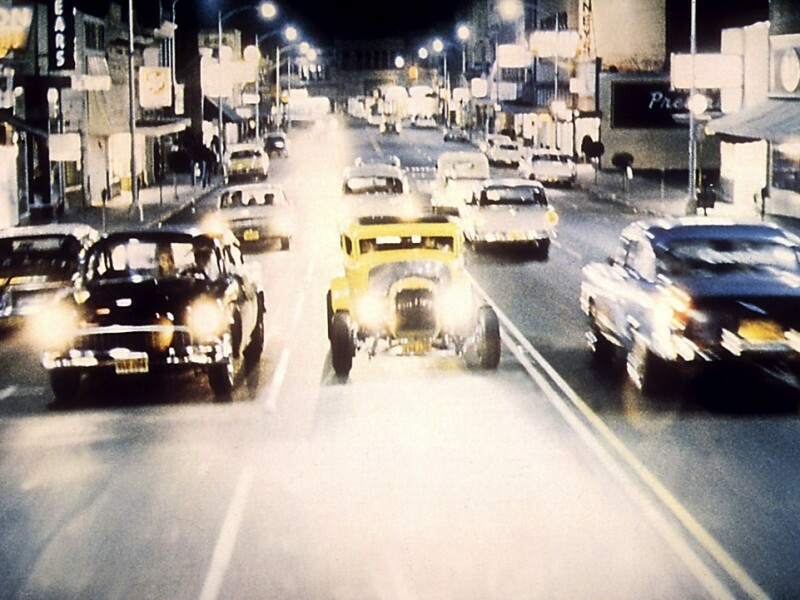 The most celebrated movie filmed in Petaluma, though, is 1973’s “American Graffiti,” which practically used the city as a co-star. “American Graffiti,” which came out two years before “Star Wars,” was the movie that put its 28-year-old director, George Lucas, on the map. It’s set in 1962, and is a wonderful comedic drama about the cruising and rock ’n’ roll culture among teens in small towns. The film, starring Richard Dreyfuss, Ron Howard, Harrison Ford, Paul Le Mat, Bo Hopkins, Cindy Williams, Candy Clark and Charles Martin Smith, was inspired by Lucas’ adolescence in the Central Valley town of Modesto. The first choice for filming was San Rafael, which was near Lucas’ Marin home as well as Skywalker Ranch, the center of his newly launched Lucasfilm. Production started in early summer 1972 and immediately hit a wall. It took longer to fix camera mounts on the car than Lucas had hoped, delaying some work. A member of the production team was busted for growing marijuana, according to Dale Pollock’s book, “Skywalking: The Life and Films of George Lucas.” Then the San Rafael City Council, worried about disruption filming caused for local businesses, limited shooting to just two days. Plans were made to move 20 miles north to Petaluma, which had a similar small-town feel, while Lucas quickly grabbed as many general San Rafael cruising shots on downtown Fourth Street as he could. (In the movie, they’re easily identified when all traffic moves in one direction; Petaluma scenes have two-way traffic). 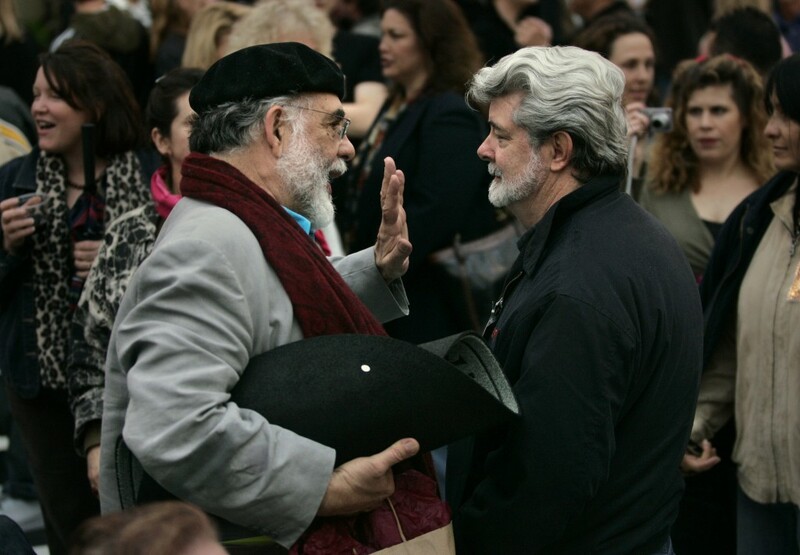 Still, there were problems, according to John Baxter’s “Mythmaker: The Life and Work of George Lucas.” Le Mat, Ford and Hopkins often drank heavily between takes and would climb to the top of a Holiday Inn sign. Ford was arrested in a bar fight. Lucas’ motel room was accidentally set on fire. 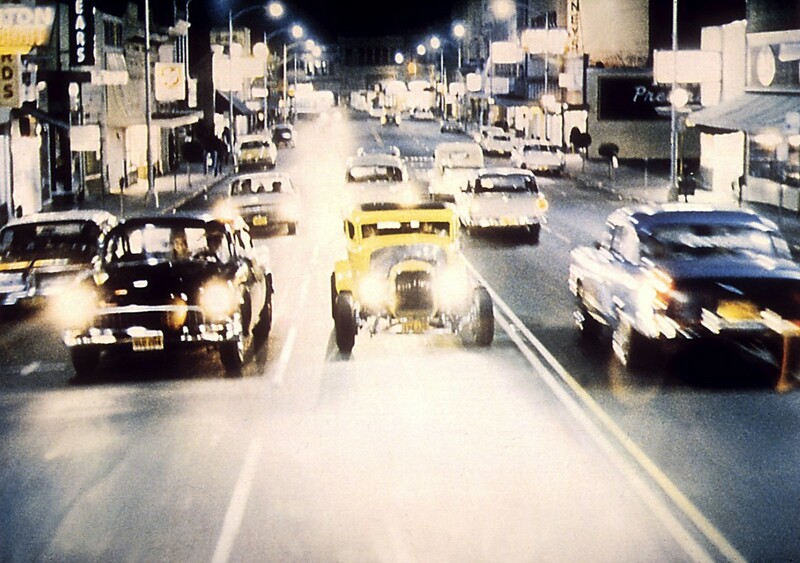 “American Graffiti” earned an Oscar nomination for Best Picture (it lost to “The Sting”). Lucas was also nominated for best writer (losing to David S. Ward for “The Sting”) and director (beaten by George Roy Hill for, you guessed it. “The Sting”). 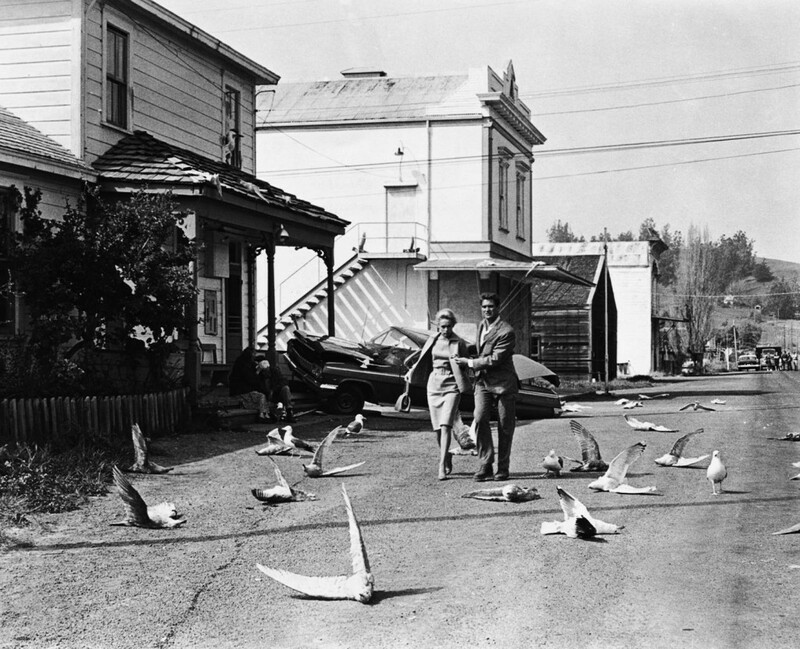 Equally famous Sonoma movie hot spots are the coastal towns of Bodega and Bodega Bay, best known as locations for Alfred Hitchcock’s classic 1963 horror film, “The Birds.” The movie was based on a short story by Daphne du Maurier, which was set in an English seashore village. But Hitchcock thought the foggy, treeless shores of western Sonoma would do just fine for the setting of his tale about murderous birds. While several of the key filming sites, such as the Tides Wharf & Restaurant in Bodega Bay, have been changed almost beyond recognition, a few remain frozen in time. The pretty James E. Potter Elementary School in Bodega was vacant at the time of the filming, but the crew repaired the exterior and it was used for several scenes. Some say Hitchcock’s film saved the old place, built in 1873. It’s now a private residence. If you’re looking for the monkey bars where the first gulls, ravens and crows gathered around Melanie Daniels (Tippi Hedren) and the next-door home of school teacher Annie Hayworth (Suzanne Pleshette), they’re no longer there. Nearby, however, is the steepled, white wooden St. Teresa of Avila Catholic church. It’s briefly glimpsed in the film, but received more recognition when Ansel Adams photographed it. Many of the roads and vistas in the area remain the same. For a fun afternoon, the Sonoma Coast Visitor’s Center (Highway 1, Bodega Bay) offers a map to the film various site. Just don’t look funny at those feathered friends up in the trees. They may get ideas. Hitchcock was said to be more proud of “Shadow of a Doubt,” shot in Santa Rosa in 1942, than he was of “The Birds.” As historian Gaye LeBaron reported in 2009 in The Press Democrat, Hitchcock brought filming of “Shadow” to Santa Rosa because it was wartime and there was a $5,000 limit for spending on Hollywood movie sets. 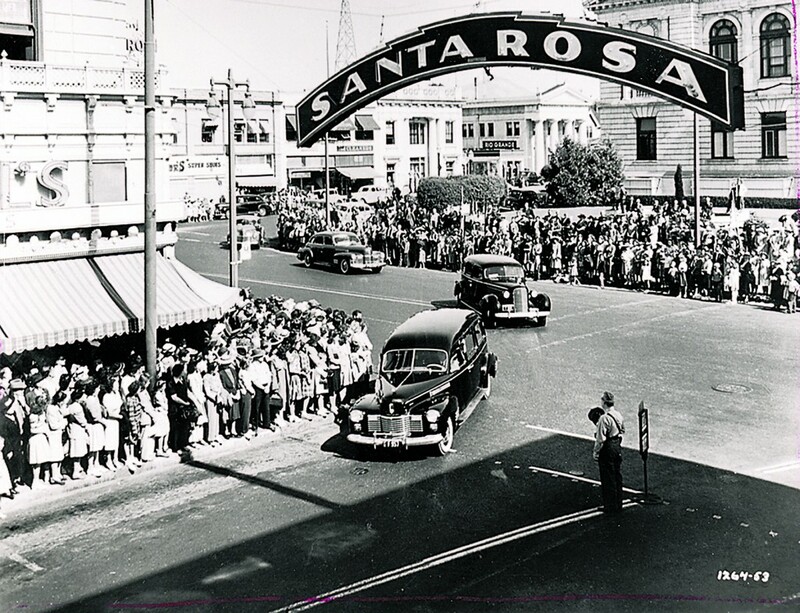 “Hitchcock’s decision, made along with producer Jack Skirball, to find a town that fit the script and move in, was considered important enough that LIFE magazine sent three photographers and published a six-page spread on Hitch’s Santa Rosa adventure,” LeBaron wrote, noting that Visalia in the Central Valley was the other location finalist. “The whole town, population 13,000, became a Universal studio for four weeks in the summer of 1942. While film permit fees still bring a tidy sum to Sonoma County — $1.93 million in 2014, a nearly 14 percent increase from 2013 — the region is seeing fewer feature films being made here, although commercials (particularly for automobiles) and still photo shoots remain popular. “There is so much they can do in their studios with special effects that some crews no longer need to go on location,” said Ben Stone, executive director of the county’s Economic Development Board, which runs the Sonoma County Film O’ce. Interestingly, two of the major perpetrators of that digital movement live nearby: Lucas in Marin, and John Lasseter (Pixar Animation Studios, Walt Disney Animation Studios) in Sonoma. Still, Stone and his team try to tempt the Tinseltown moguls to come north for future films. 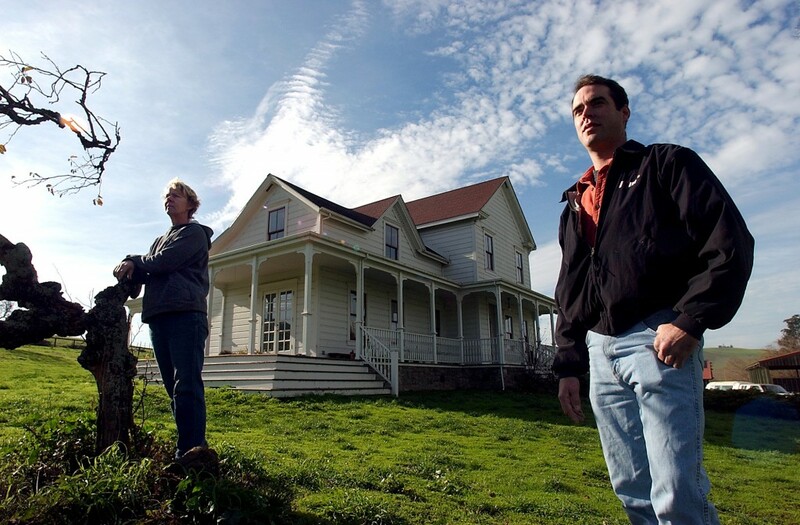 The website for the Sonoma County film office offers nugget descriptions of hundreds of locations, ranging from Cougar Mountain Drive near Sears Point (“Two-way paved road winding through sprawling green pastures and land”) to Santa Rosa High School (“Arched entryways and traditional European design in front.”) to Kunde Family Winery (“Overlooks sprawling vineyards and Sonoma County hillsides.”) For now, they’ll take what business they can get. But it’s an uphill battle and, recently, there have been fewer takers. In the meantime, movie lovers can enjoy the Sonoma International Film Festival, a five-day event that lights up the area with great cinema, food and celebrities each spring (March 30 through April 3 this year). Or save the cost of a movie ticket and just step out the door to take a stroll. Sonoma is always lovely and cinematic, whether a crew is filming here or not.